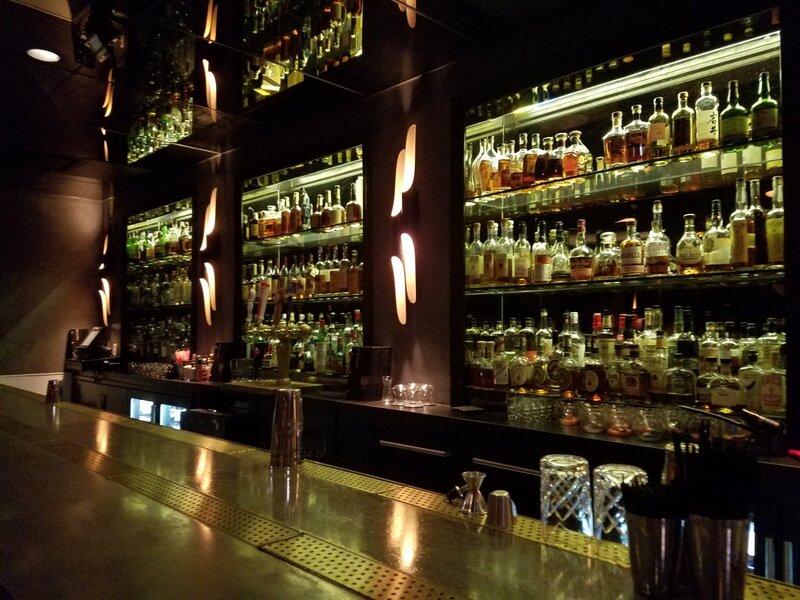 Chicago’s Loop isn’t exactly known for its wide selection of craft cocktails or cuisine guaranteed to satisfy the average foodie. 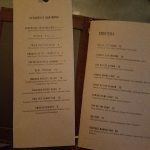 Thus, it was exciting news that Steadfast, a bar and restaurant offering New-American cuisine with a cocktail list developed by Benjamin Schiller, opened this month in the heart of the central business district. 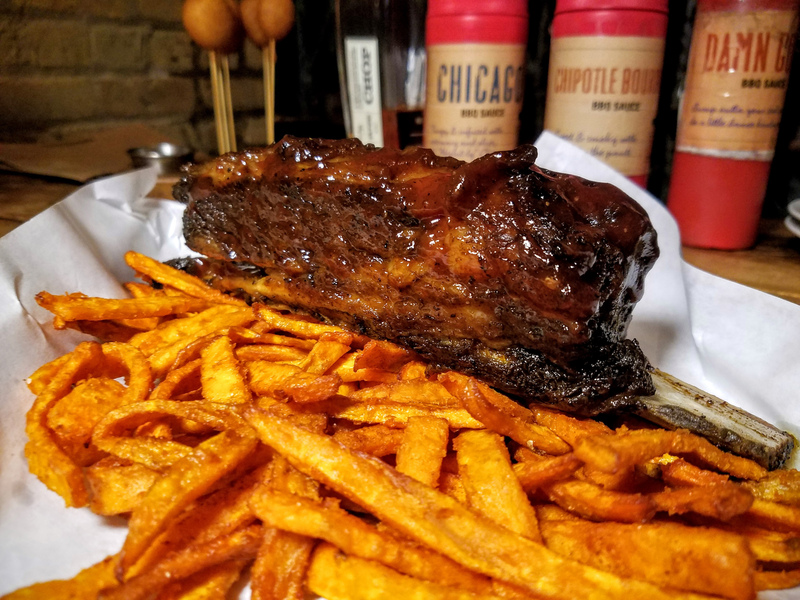 It’s the newest addition to the Fifty/50 Group, alongside other Chicago favorites such as The Berkshire Room, Roots Pizza, and of course the original Fifty/50 sports bar. 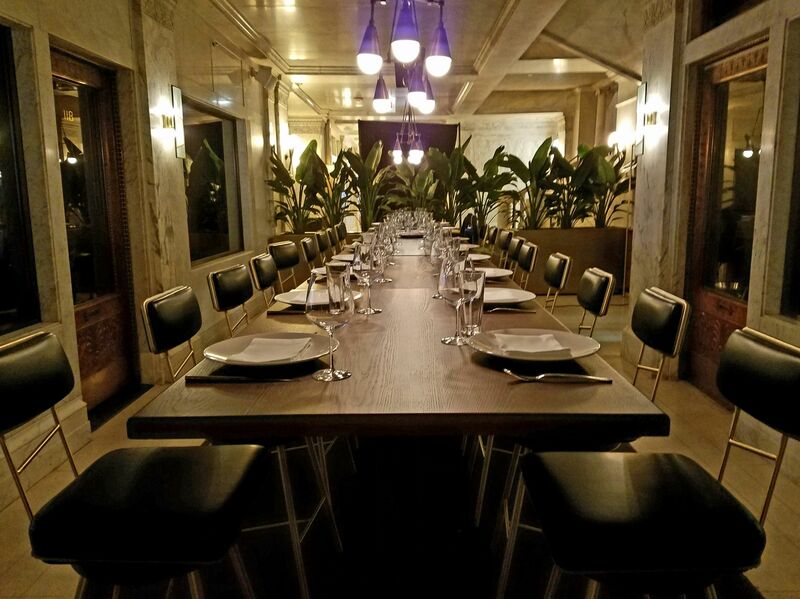 The group chose to open their first chef-inspired menu in the Loop to serve the needs of working professionals who otherwise head to neighborhoods like River North or the Fulton Market District for such fare. I had to opportunity to meet with Scott Weiner, co-owner of the Fifty/50 Group, to learn more. My visit kicked off with a tour. Well, technically it kicked off with a Top of the Shop, a rye-based cocktail that I brought with me on the tour. Steadfast is located inside what will be Chicago’s newest historic-office-building-turned-hotel when a Kimpton hotel opens next month. The building, completed in 1894, was designed by William Le Baron Jenney and designated a Chicago Landmark in 2006. (Architectural aside: Jenney is one of several famous Chicago architects and is often credited with designing the first steel skeleton skyscraper. He was an engineer during the Civil War and is said to have had the idea for the steel frame through visualizing a bridge turned vertically on its side). Ornamented doors and original tile floors were preserved as a result of the buildings landmark status. Scott pointed out that much thought was given to make sure the décor celebrated this heritage. Everything from additional tilework to the tabletop edges were designed to echo the original ambiance of the building. Scott then took me behind the bar for an up close and personal tour of Steadfast’s reserve whiskey collection. 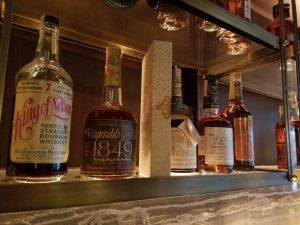 They offer a healthy selection of around 25 whiskeys that haven’t been available on shelves for decades. 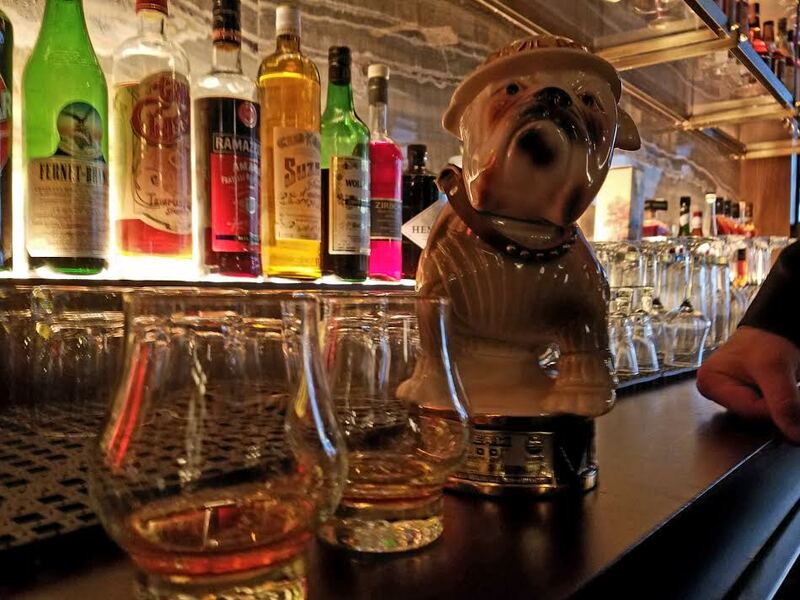 He pulled a bottle of Jim Beam in a bull-dog decanter off the shelf. “You have to try this”, he said. “You’re not going to believe this is Jim Beam.” As soon as I held my nose to the glass I realized he was right. I was bathed in deep, rich caramel notes, leaving me both impressed and surprised. Scott explained that my reaction is exactly the reason he offers these whiskeys for sale. “A lot of these brands are not considered top shelf today”, he explained, “but that was not always the case. When you taste what they were like in their prime, it’s totally different.” He went on to explain that most people don’t realize how much brands have evolved over the years, changing at least the source of their grain. Most brands we know today simply are not the exact same product that they were in earlier generations. His passion was palpable; he is undeniably happy to give people the opportunity to literally taste history. I had to ask Scott where he finds these treasures. A wry smile came over his face. “I got a guy”, he said with a twinkle in his eye. He did expand a bit on the answer, saying that a couple of frequent sources are estate sales and restaurants that are either closing or evolving. 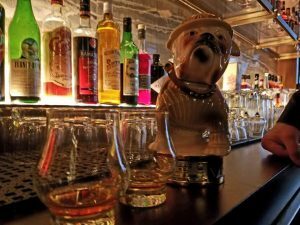 In fact, what prompted him to begin pursuing antique whiskeys was a restaurant find. 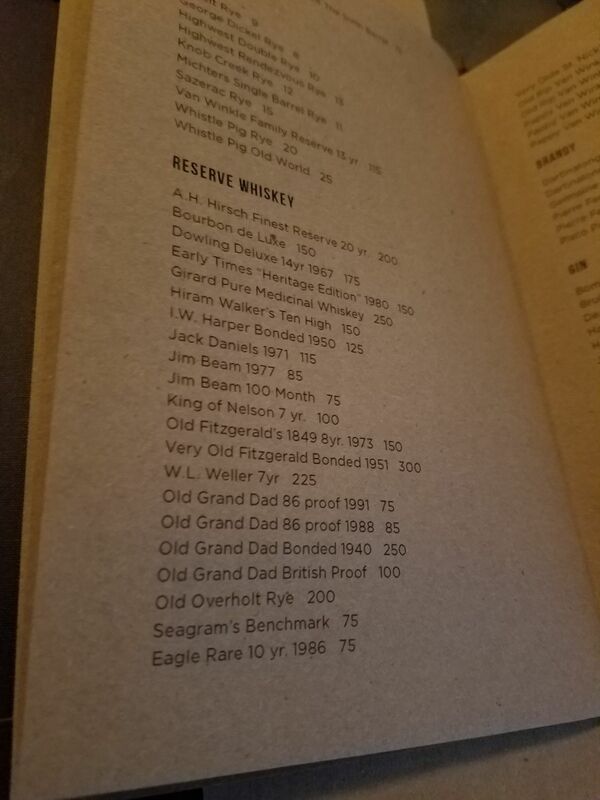 The previous generation of owners kept quite a whiskey selection and although the current menu did not feature it, the whiskey was still lying around. Apparently there was a bottle of 1930’s Old Grand Dad on the back bar! (I’m pretty sure it’s every whiskey aficionado’s dream to stumble upon some antique whiskey just sitting on the bar). He purchased many bottles from them and from that point on, he was hooked! 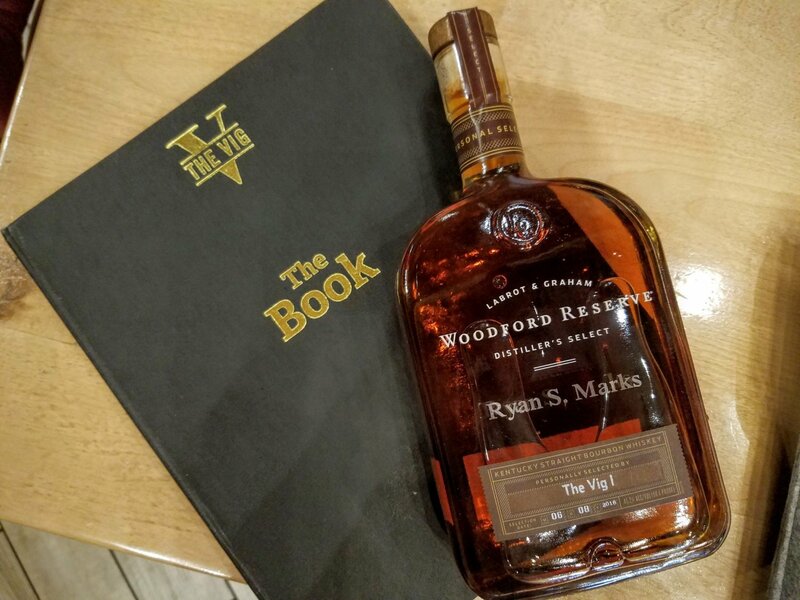 He has since become a bit of a bourbon hunter and has some bottles in reserve to replenish the stock behind the bar as necessary. It seems like those dusties behind the bar may need to be replenished before too long. While we were still chatting at the bar, another patron ordered the 7 year Weller Special Reserve that was bottled in 1974. Scott couldn’t resist sharing another sample. 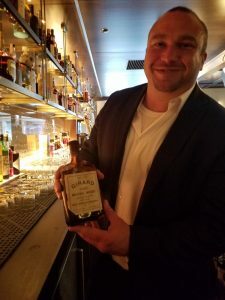 I was still mid-nose when I heard him say exactly what I was thinking: “butterscotch, I just get so much butterscotch.” The bourbon was a balanced blend of sweet and spicy that started on the tip of the tongue and slowly rolled its way back, producing a delightfully long finish. In the midst of my excitement over this pour, I heard alarm in Scott’s voice. “Wait, was that seriously ordered over ice?! ?” I looked over to see the Weller being poured over a giant, hand-carved cube. Scott reminded himself that you just can’t tell other people who to drink their bourbon. If there was any doubt about his passion before, it was erased at this moment: I could almost see his heart break. 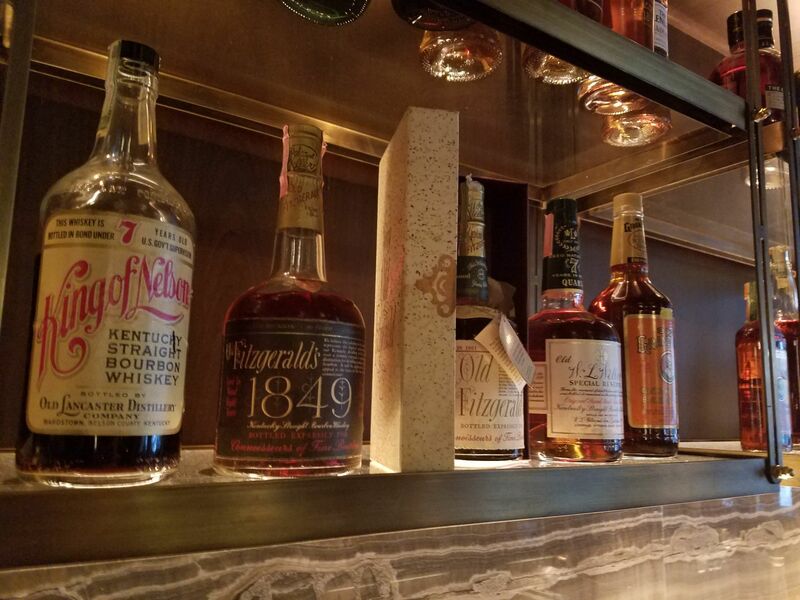 On top of an impressive antique whiskey collection, Steadfast also boasts an impressive menu. Executive Chef Chris Davies and Executive Pastry Chef Christopher Teixeira both crafted such interesting selections that it was actually pretty difficult to choose! 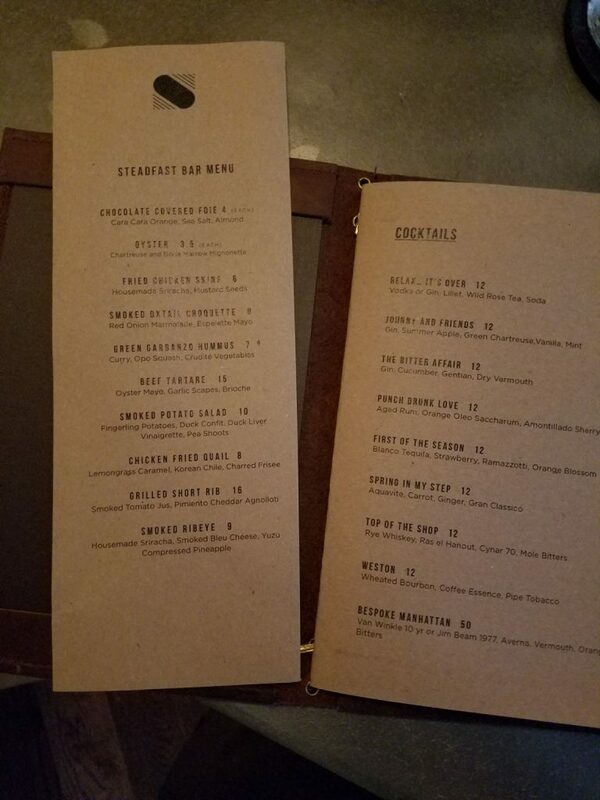 Just as the décor in the restaurant brings modern flair in a way that reflects the vintage heritage, the menu features many classic options presented with interesting twists. 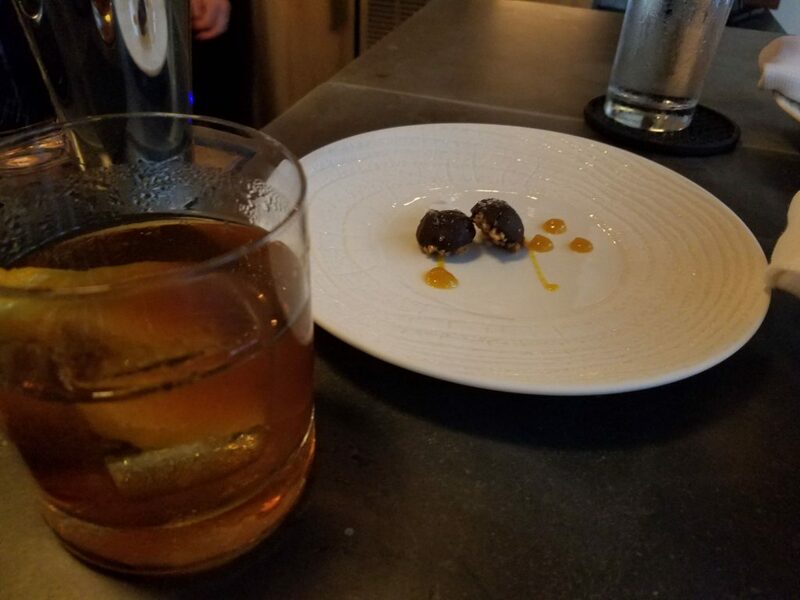 During my visit I was able to sample the chocolate covered foie, oysters, scallops, and the butterscotch dessert. Although each dish was quite different, they all shared a common bond. Each featured an interesting combination of flavors that were beautifully married to create a whole greater than the sum of the parts. I savored each and every bite. 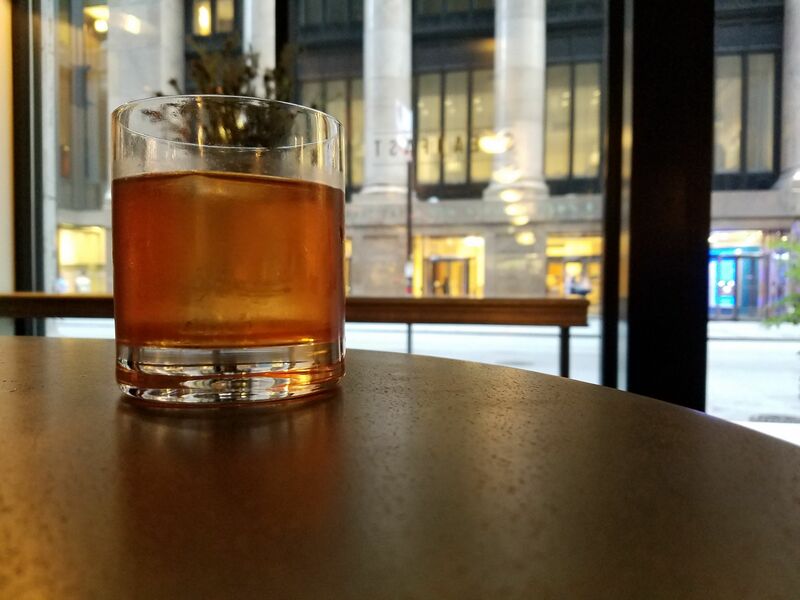 I capped off the evening with a Weston, the wheated bourbon cocktail featuring pipe tobacco that’s become a feature on the Fifty/50 group’s craft cocktail lists. 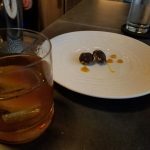 Between the fantastic cocktails, delicious food, and antique whiskey treats, I enjoyed my evening at Steadfast. The thoughtful way in which they revived a landmark skyscraper is certainly a welcome addition to Chicago’s Loop. 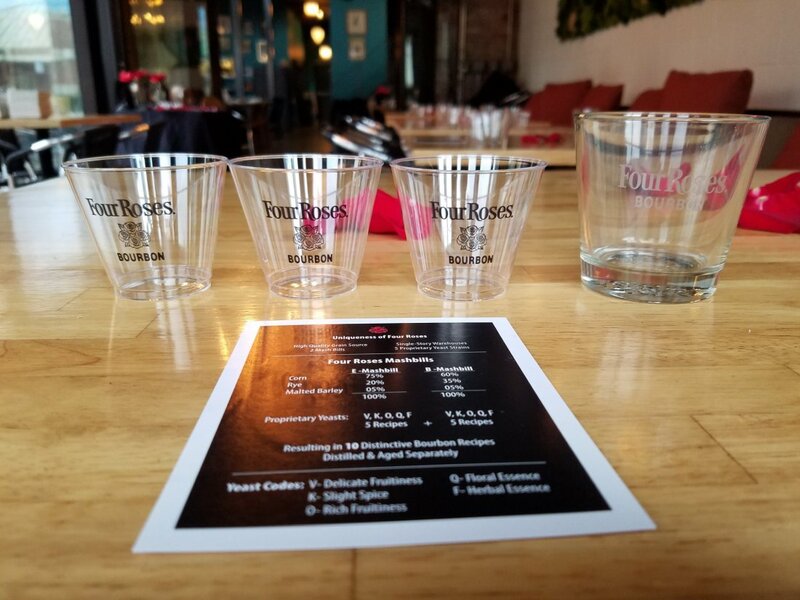 Next post Independent Spirits Expo is Coming to Chicago!